THIS is how success smells. Every time you step inside the Mercedes-Benz CLS450 you're reminded of your life status. Fragrance-infused wellness modes offer a variety of scents from a bottle in the glovebox, the antipodes of smelling like teen spirit. Yet for those with an eye for luxury and prestige, this "four-door coupe" is Nirvana. Residing in a world obsessed with boxy high riders, the CLS is regarded by many as a modern classic. 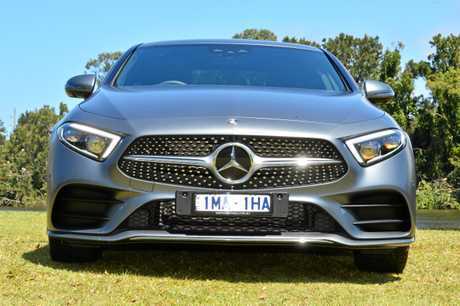 Getting one on the road costs about $160,000 and the return on investment is an attention-grabber that blends sporting prowess and the elegance of a plush sedan. Most shoppers in this large premium aisle opt for sensible styling, like the E-Class on which the CLS is based and dominates the segment, and the equivalent sedan is about $10,000 less with more luggage and passenger space. But your standard luxury limo doesn't have this level of appeal. 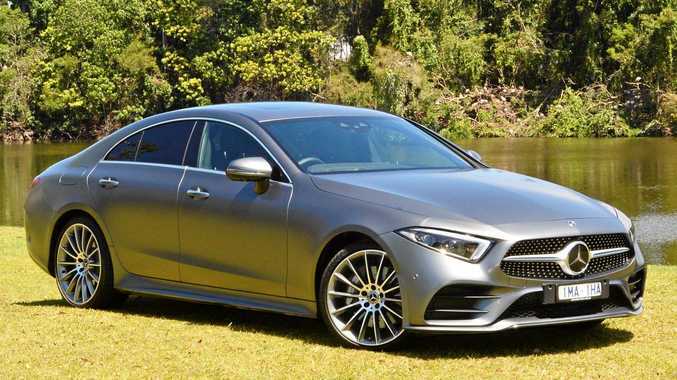 Buyer demographics show it's typically those in mature age brackets who find the CLS irresistible - lured by an arching roof line, slim side windows and smooth curves that inspire hand contact to the metal. All CLS variants come with adaptive air suspension, traffic sign recognition, head-up display, "multi-beam" LED headlamps, adaptive cruise control, leather upholstery, a thumping 13-speaker Burmester audio, satnav along with smartphone mirroring apps Apple CarPlay and Android Auto. This mid-range CLS450 also has an alarm, soft-close doors as well as a bi-modal exhaust for a gruff soundtrack. Warranty coverage is three-year unlimited kilometres, which is about standard by prestige standards but now short compared to mainstream, with capped-price servicing packages available. 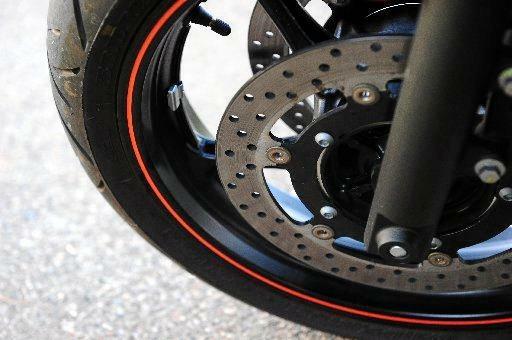 Servicing is every 25,000km or annually. 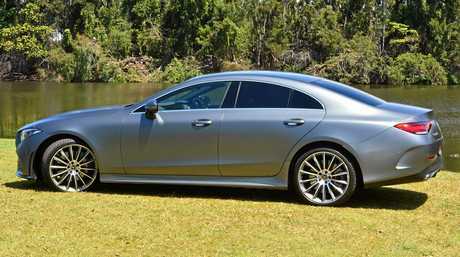 Grand tourer is the brief for the CLS rather than track shredder. Pushing nearly two tonnes, it's motivated by a 3.0-litre six-cylinder engine, which is bolstered by what Mercedes calls EQ Boost. Borrowing some of the technology used in the upcoming electric models, it supplements power delivery with an extra injection of torque when summonsed. Everything happens without need for driver intervention - simply plant your foot and it all happens magically under the bonnet. Think of it like a partial hybrid system that plugs power gaps. Feeling swift and strong, with all-wheel drive torque split 45:55 front to rear, it hangs onto the bitumen nicely and excels on flowing rural roads and easy highway sojourns. It begins to feel its bulk with rapid changes in direction or sharp turns and despite the various exhaust tones it remains restrained, unlike its brash AMG brethren. Cabin fit and finish lives up to external expectations, with an equally spectacular design. The two 12.3-inch wide-screen digital displays, jet-turbine-inspired vent designs and flowing dash lines that light up with LEDs look spectacular in the dark (with an array of colour options). 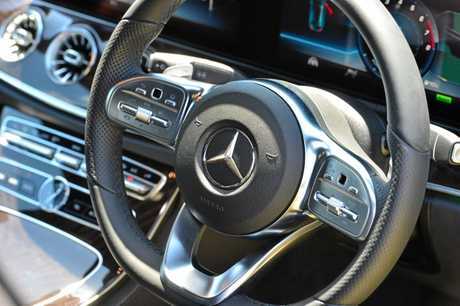 While it doesn't have the latest voice-activated Mercedes infotainment system, the digital displays can still be controlled via the central dial or two small thumb pads on the steering wheel. Adults can find the rear confines compromised due to the swooping roof line and those centre of the rear pew draw the shortest of comfort straws. Top-notch gear comes as standard, including the items you would expect like radar cruise control to maintain a safe distance from vehicles ahead, brakes that can be autonomously deployed if the driver doesn't react quick enough (forward and reverse), steering that can keep you within the lane and a 360-degree view for parking. The sights, sounds and smells of the CLS get my engine racing and I'm not prepared to abandon my youth just yet. Sure, the E-Class makes more sense but I want to enjoy the mantelpiece while stoking the fire. Borrowing design cues from the famed 911, this is the Porsche for the whole family. A big step up in price and it's "only" packing a 243kW/450Nm wallop from its 6cyl engine that can reach 100km/h from standstill in 5.7 seconds. 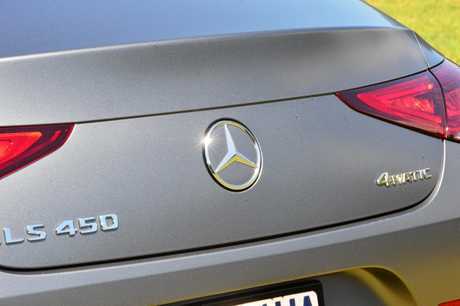 The CLS achieves the same feat in 4.8 seconds. Another blend of sedan and coupe styling with equally beautiful fit and finish. Its 3.0-litre turbo V6 is good for 250kW and 550Nm and is also supplemented by mild hybrid technology that can do the sprint in 5.3 seconds. While the CLS typically appeals to an older audience, it attracted attention from all walks of life during our tenure. The matt paint certainly appeals to the youngsters, not so much the more mature. It's fast in a straight line, but no race car, rather pure elegance that reeks of style and substance.